Project developers are in search of microgrid financing; financiers are in search of investment-grade projects. Microgrid 2019 offers a platform to bring the two together in year two of the Microgrid Financing Connection. 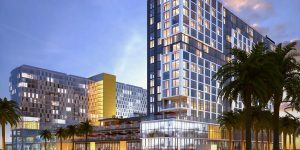 Microgrid 2019 will be held at the InterContinental San Diego, a new luxury hotel on the waterfront. Launched last year at Microgrid 2018 in Chicago, the popular match-making program is being continued for Microgrid 2019, which will be held in San Diego May 14-16. If you’re a project developer, you can participate by completing the pre-screening application form. Your project will be reviewed by a committee of microgrid technology companies and project financiers. Applicants selected by the committee will be invited to meet privately with investors at Microgrid 2019. During a 30-minute pitch session, project developers will have an opportunity to describe their plans to the financiers and learn more about their investment requirements. Microgrid Knowledge welcomes applications from institutions, commercial and industrial businesses, utilities, communities, real estate developers, government entities and others that are developing microgrids. To participate complete the form here. Microgrid 2019 also will feature special sessions on microgrid finance, including a main stage discussion: “Microgrid Financing: How to Make Your Microgrid a Reality,” at 9:15 on Wednesday, May 15, which will be moderated by Karen Morgan, president and CEO of Dynamic Energy Networks. See the full Microgrid 2019 agenda here. 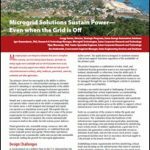 Microgrid 2019: Shaping the New Electric Grid” follows Microgrid Knowledge’s highly successful conferences in New York City, Boston and Chicago, all part of the online publication’s mission to advance microgrids and related technology. A special pre-conference workshop on Monday, May 13 will offer policymakers and thought leaders an afternoon of visioning and problem-solving focusing on microgrid incentives and tariffs. Sponsored by Navigant, the workshop will be facilitated by Ken Horne, director for smart grid in the emerging technology and business strategy group of Navigant Consulting and Peter Asmus, principal research analyst at Navigant Research. Microgrid 2019 registration information is available here.